2014, Oil on Canvas, 72 x 48 In. 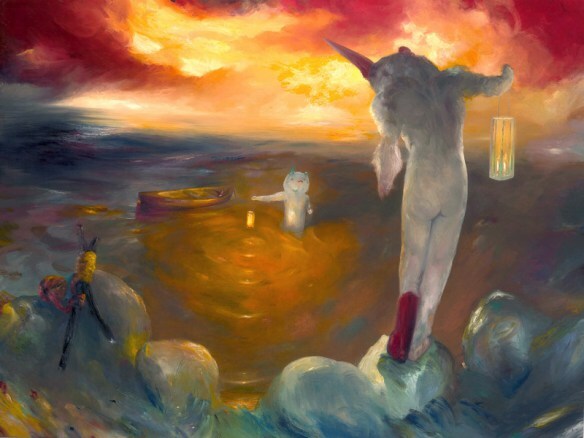 Imbued with storybook-like imagery, Joe Sorren’s paintings tell tales of imaginative, surreal happenings, often through a childlike gaze. 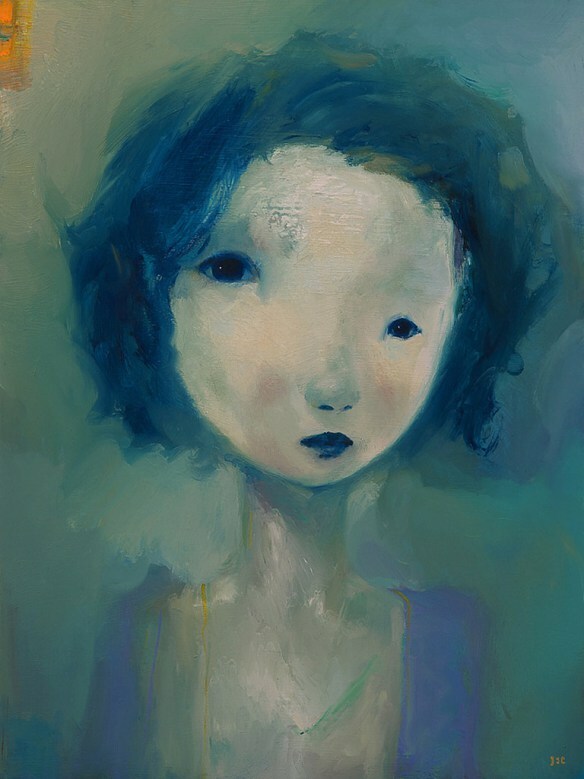 His paintings transmit the similar sort of tender emotion you experience when a child tells you her secret; Sorren’s characters, though they appear naive, convey complex, emotional themes. 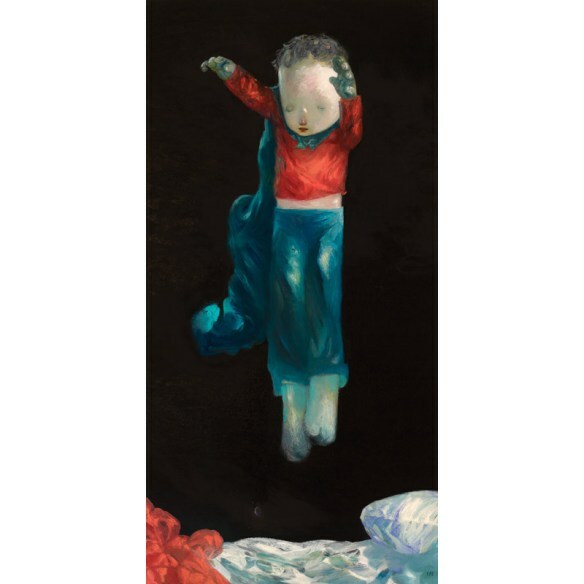 The work in his current exhibition, “Knock Three Times,” has a narrative feel, as if there is something allegorical or even mythological brewing within the series. 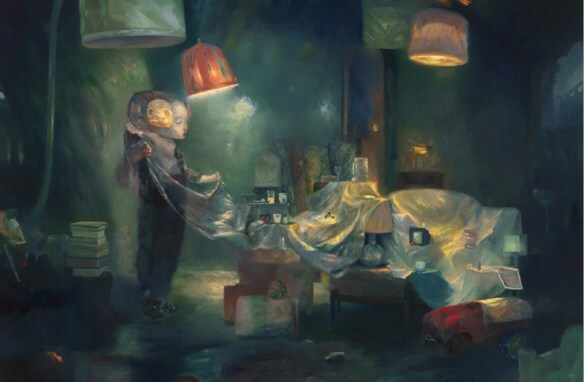 While some of Sorren’s previous paintings are marked by their light color palettes, giving his wispy brushwork a cloud-like quality, in this series, the artist opts for deep forest greens, lava reds and midnight blues, evoking the physical, visceral painting styles of Post-Impressionist painters like Van Gogh.